Dr. Mahamudu Bawumia, Vice President of Ghana will on Friday, 5th April 2019 launch an online tax payment platform knowns iTaPS. 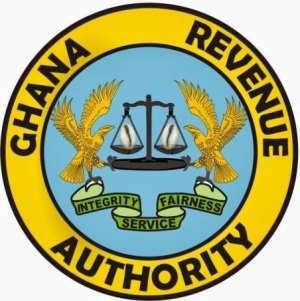 The Ghana Revenue Authority (GRA) has announced. The Integrated Tax Application Preparation System (iTaPS) is to aid taxpayers to file their annual tax returns electronically with ease. It is also to help the GRA boost its revenue mobilization and revenue leakages among others. The initiative falls in line with the government’s agenda of a digitized and formalizes economy through the use of technology to resolve Ghana’s age-long challenges. Commission General of the GRA, Emmanuel Kofi-Nti made this known at a media engagement on the 2019 Tax and Governance week slated from between 5th to 12 April 2019. The engagement was to enlight the media on how the software works and to solicit support for their efforts in public education. According to Mr. Kofi-Nti, the new system will run concurrently with the manual process for some time before it fades out completely. The annual Tax and Good Governance Week by the GRA in collaboration with the Finance Ministry are aimed at increasing awareness among organizations and individuals on the importance of filing of annual returns and the payment of taxes. The 2019 edition is under the theme; "File your Returns; Pay your Taxes, Move Ghana Beyond Aid". Other activities for the week include; Tax Clinics, Observance of April as the Client Service Month by GRA, Radio/TV discussions, Radio Panel Discussion, and Social Media Activities.